Call Openreach for free by dialling their freephone contact number 0800 783 2023 to report damage to their equipment including street cable cabinets, telephone poles and underground cables. Similarly if you see that their infrastructure has been vandalised or sprayed with unsightly graffiti then you should call this helpline to report this to their damage repair team. However if you are having difficulties with your home broadband or landline phone you will be unable to contact Openreach directly on this phone number, instead you should get in touch with your specific provider who will arrange an engineer call-out on your behalf. As a freephone number you can call this helpline for free from any UK landline or mobile telephone, however you may still be charged if you dial this number on a payphone. Contact Openreach to make a complaint by calling their freephone telephone number 0800 783 2023 where you can voice your dissatisfaction about a street cabinet which has been installed on your road. If their engineers have caused damage to your property when carrying out installation or repair work on their infrastructure then you can call this helpline to get the damaged fixed as well as to get compensation. Alternatively you can write a letter of complaint to Openreach by using their London head office postal address below, where you can also attach evidence such as photographs of damaged caused by a member of their staff. 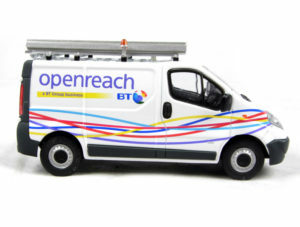 Email Openreach, which is a subsidiary of BT, by visiting their “get in touch” webpage where you can select an online contact form relevant to your enquiry, they will then reply via the email address or telephone number that you enter on the website. If you would prefer to write to Openreach you may send your correspondence directly to the customer service department at their head office in London using the postal address provided below, however please be aware that this will usually take longer than calling their telephone helplines or sending them an email.